HSCH-P Five-Arm Brass Chandelier – Lighting Bug Ltd.
HSCH-P Five-Arm Brass Chandelier with textured clear glass shades. 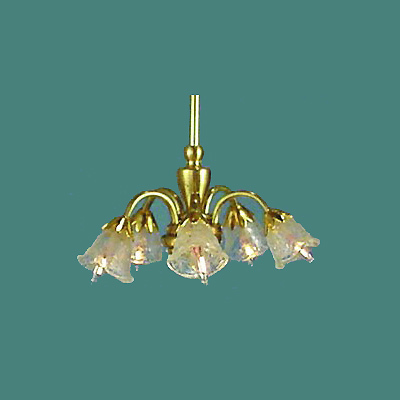 This half-inch scale brass chandelier has five arms and textured clear glass shades. 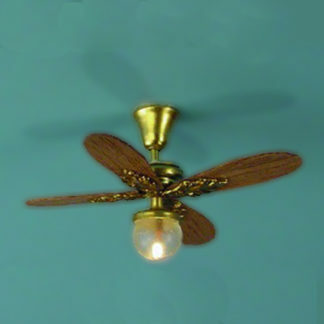 It has five long-life grain of rice (GOR) bulbs and gives plenty of warm natural light for any miniature room. Approx 1 3/8″ wide by 15/16″ tall.